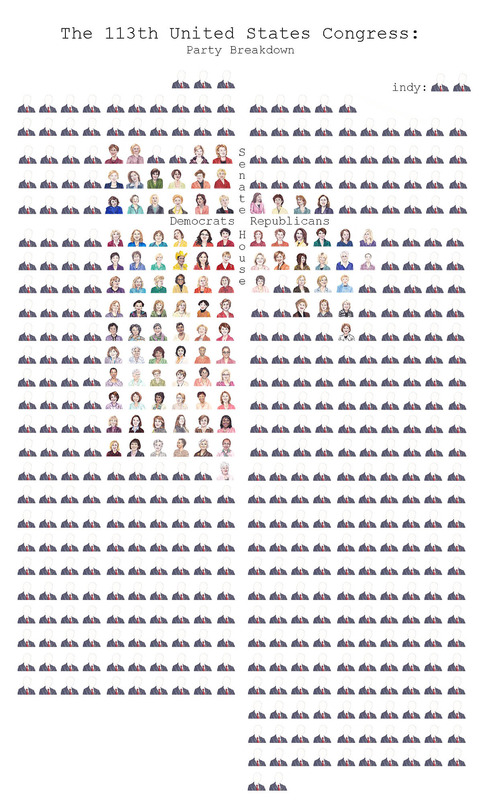 Women of the 113th has created an infographic depicting the gender breakdown of the 113th Congress, an update on a similar design for the 112th. In a way that statistics alone can’t, the chart shows how few women can be found on either side of the aisle despite gains in the 2012 election. You can find the large original here. Make sure to explore the rest of the site for infographics on Congressional moms, party distribution, and more.